Looking for homes for sale with RV parking or RV garages in Colorado or the Denver area? Do you need a place to park that motor home when you’re not on the road? Homes with these special requirements are not easy to find. I’m here to make it a bit easier for you. 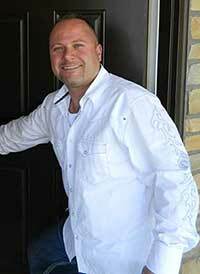 In fact I specialize in homes with big garages, oversized garages, RV parking and RV garages. As a Street Rodder who is also a RE/MAX Broker/Owner for over 30 years, I have many contacts in the Denver area which are invaluable when it comes to buying and selling these specialized properties. Homes with RV parking or RV garages are unique and whether they are suburban homes with an oversized garage or a large acreage property with large garages, outbuildings and pole barns I’ll help you find the one you need. You more than likely have specific requirements about the type of property you want and where you would like it to be and I would be happy to create a custom listing alert report for you to help you narrow down the properties you need to look at, just click on the link below and let me know how to get in contact with you and I’ll get back with you. I know you want to start looking at properties right away so below are listings of many of the homes for sale with RV parking or RV garages in Colorado.